Listen out on Otago’s 98.2FM The Breeze each weekday morning at 6.10am and 9.20am for a health tip. Read Dee’s health column once a month on a Wednesday in the Otago Daily Times. Click here for an example. 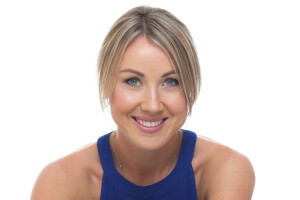 Follow Dee on Facebook – Dee Copland Naturopath & Nutritionist and Instagram – Deelicious_Nutrition for regular tips, tricks and recipes for great health. Follow Dee Copland Naturopath and Nutritionist on Pinterest for recipes, motivational quotes, exercise tips and more. For personalised health and wellbeing tips, see Dee. No two people are the same so your individual requirements are all different. Start each day with a big glass of warm water and fresh lemon to cleanse and stimulate digestion. Aim to have 1-2 serves of fruit and 6-9 different veggies per day (organic where possible). Include a small amount of ‘good’ fats (fish, avocado, raw nuts and seeds, coconut or flaxseed oil) with each main meal. Avoid drinking excessively before or during a meal as this can reduce enzyme activity. Enzymes help to break down food. Ensure you drink plenty of fluid throughout the day (herbal teas, water and/or soups) – approximately 25-30mL per kilogram of body weight. Be active. Exercise at least 30 minutes every day. Exercise works the diaphragm, which massages the intestines improving digestion. It regulates appetite, blood sugar and metabolism. See below if you don’t think you have time to do this. 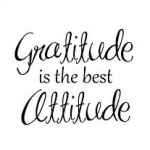 Be grateful for what you do have. 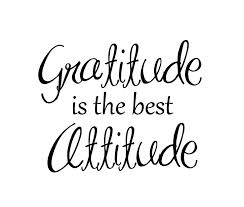 An attitude of gratitude contributes to your wellbeing and actually develops the part of the brain that helps you to cope with stress better. Adequate sleep is crucial to health and vitality – your body needs sleep to repair and regenerate so aim for 7-9 hours a night (for an adult). Being prepared is really important. Shop for fresh food regularly and keep your pantry stocked with good staples. When you prepare food, make double and freeze meals for future convenience. When preparing dinner, make extra for lunch the following day. Avoid overeating. Overeating occurs when we skip meals, eat too quickly or dont satisfy our taste buds. Overeating is a major cause of obesity and stresses the liver and digestive tract. Spread meals evenly through the day and try to have your biggest meal at lunch time. Our digestive fire peaks around noon, when it is most efficient at coverting food into energy. “I don’t have any time”………………….Using this as an excuse? leaving 72 hours of time. To improve your health, you only need to find a minuscule 3.5 hours for exercise a week.